Whether your child’s favourite companion is a teddy, a doll, or some other much-loved variety of soft, huggable critter, they’ll need a pram to push them around in. Because if there’s one thing we know at Babyology, it’s that kids love dolls’ prams. Here’s a look at our favourites. We just have to start with the adorable Danish stylings of Moover (pictured top). 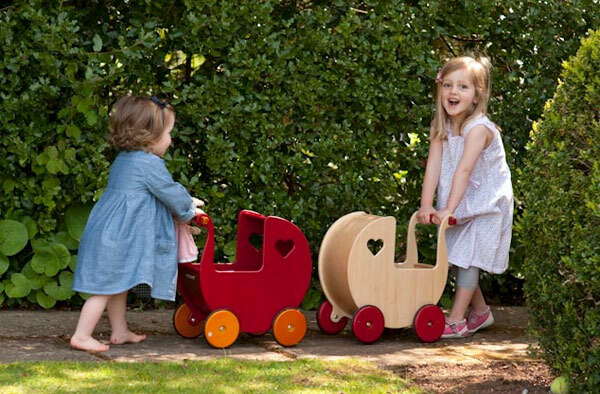 Made from birch veneer, with solid timber rubber-lined wheels, these fun prams come in red or natural. Quality pram maker Silver Cross has a Junior Collection, which includes kid-sized versions of the Ranger ($99) and X4 ($99). The Ranger has an adjustable handle, co-ordinating shoulder bag and shopping tray for all the dolls accessories. 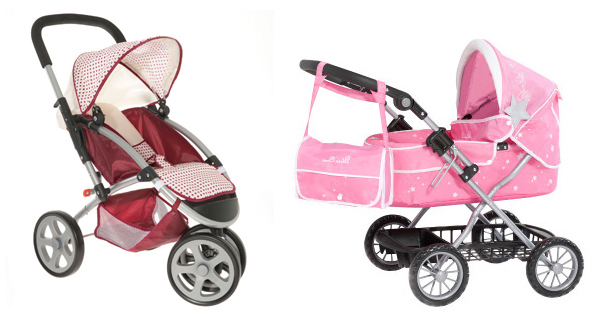 The X4 is a modern all-terrain styled dolls stroller with an adjustable hood. It comes in unisex red. 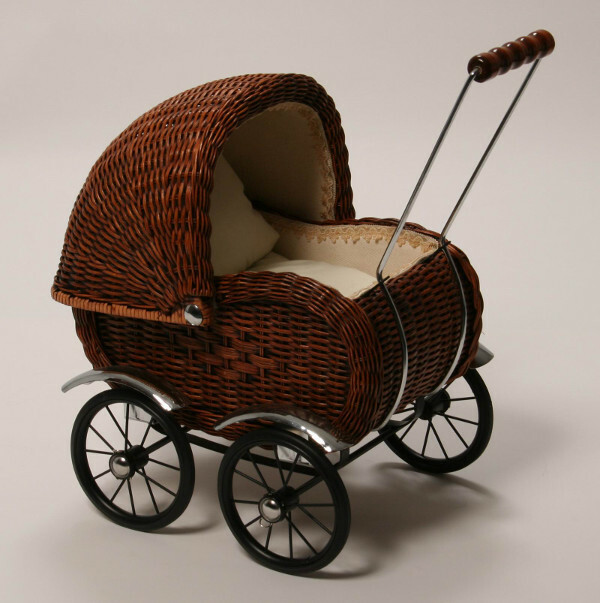 Silver Cross also make an elegant range of heritage dolls’ prams that hark back to yesteryear. 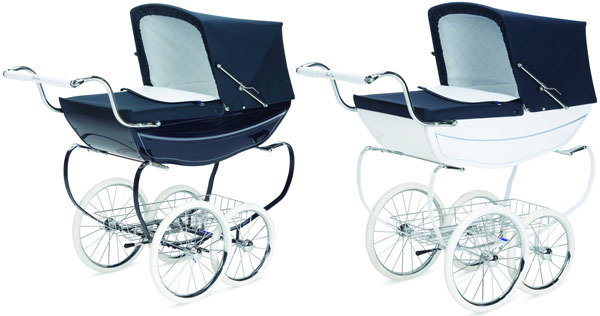 Chose from the Oberon, the Chatsworth (which both cost $999) or the Princess Dolls Prams ($1299). The beautiful dolls prams at Lusan will take your breath away. These heirloom and play prams are made with stunning attend to detail and would surely make a classic addition to any nursery. The Q4 crib is designed for toys after bub has outgrown it. 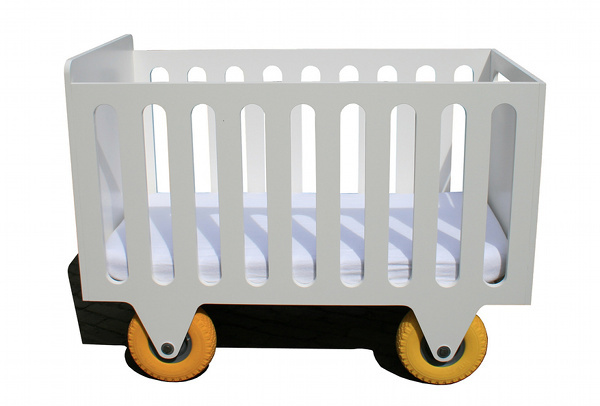 The Q4 cradle by Made by Midas converts to a kind of toy pram with a removable hood , and the Q4 crib, in the same fashion, can be used as a kind of toy trolley. 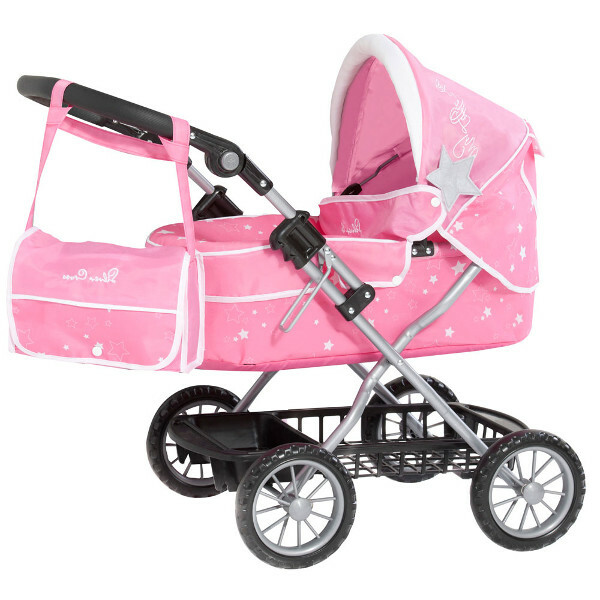 The Micki dolls’ pram is perfect for moving all those teddies and soft toys. 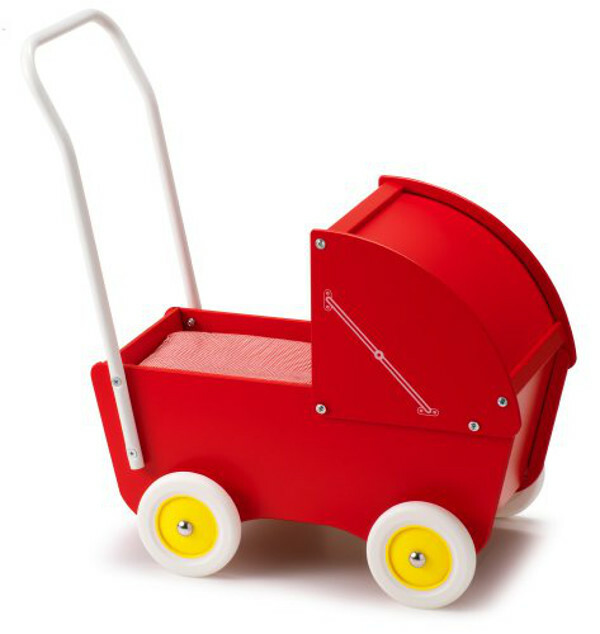 This Swedish designed wooden toy has a fixed hood, sturdy metal handle and rubber wheeled tyres. It also makes a fun alternative to a baby walker. Now you have the lowdown, all’s that left to do is get your dolls and soft toys ready for a fun ride!